After five years of real estate and construction experience, Bob moved home to Louisville to be a part of his family's business. 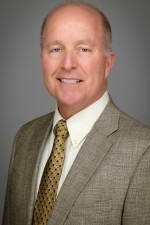 Currently, Bob serves as Principal Broker for Louisville Realty Group. Bob stays involved in the housing industry through serving with the Building Industry Association of Greater Louisville. As a board member for 15 years and past chairman of its Land Development Committee, Bob stays up-to-date and plugged into Louisville's residential housing market. Bob holds a B.A. in Real Estate from Eastern Kentucky University. He lives in Louisville with his wife, Beverly and enjoys spending his free time with her and their two children.